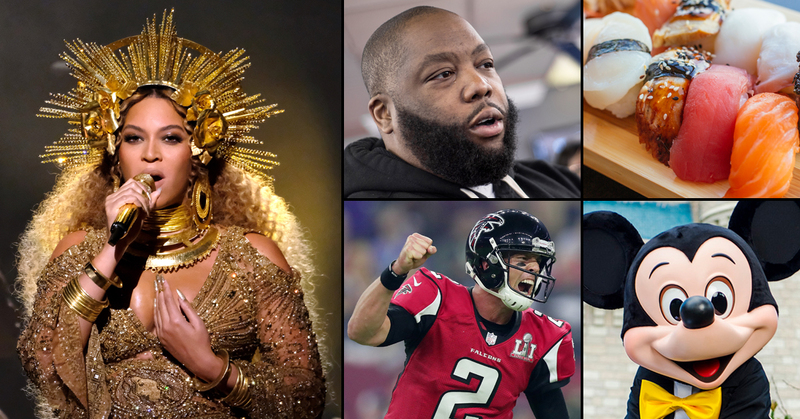 Neither Beyoncé, Killer Mike, Matt Ryan, Mickey Mouse, or a piece of sushi will be the next mayor. Atlantans like to get creative when they don’t like their voting options. Because who wouldn’t want Lord Voldemort or Darth Vader as mayor of Atlanta? Some voters kept it local, voting for Donald Glover, Andre 3000 and Big Boi, Killer Mike, Quavo and Migos, Matt Ryan, Julio Jones, John Lewis, Dennis Schroder, Arthur Blank, and Ryan Gravel. Some voted for other politicians, such as Donald Trump, Bernie Sanders, and Barack Obama. Some referenced people in the news—Colin Kaepernick, Harvey Weinstein, and “Doald Trump Jr.” Others just wanted to mess around. Some voters wrote in more serious statements as a way to highlight issues in the community or voice their opinion against candidates. Some were just plain silly, too. • No more development and no trains! Just . . . why? Then there are the write-ins that make you scratch your head. Some are immature, some weird, others reference political memes. We’ll let the votes speak for themselves on this one.